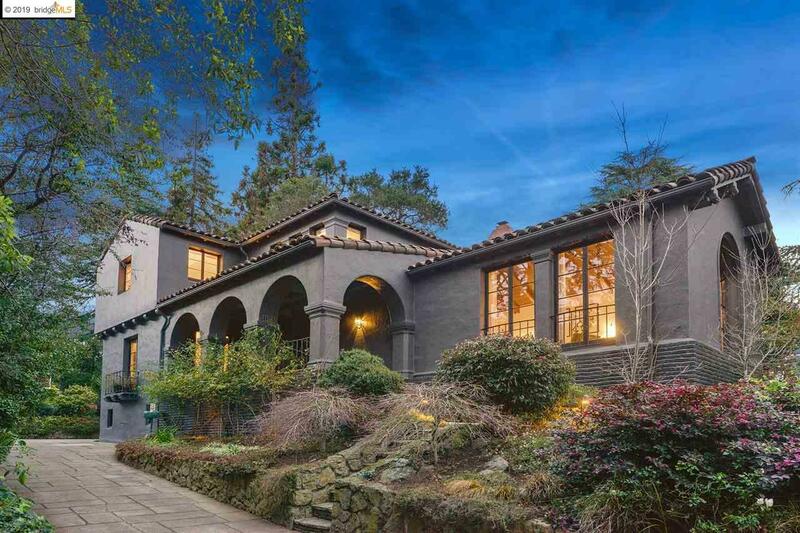 Prominent Crocker Highlands estate positioned on exquisite level-out park like gardens. Old world architecture and craftsmanship blend seamlessly with modern European renovations. Kitchen equipped with Miele appliances, custom Italian cabinetry & Carrara marble countertops. Luxe in appearance, this space is guaranteed to please the most discerning epicurean and flows into the bright family room that opens out to the deck and rear gardens. The formal living room is generous in size with vaulted beamed ceilings, planked oak floors & spacious fireplace. Perfect for entertaining, it connects to the sophisticated dining room balanced with a brilliant Foscarini chandelier. Offering four bedrooms and two full baths upstairs, the expansive master suite has dual closets and windows overlooking the private rear gardens. An additional en-suite with modern bath found on the main level is ideal as guest suite or home office.